Will Jair Bolsonaro destroy the Amazon and its Indians? In 1992, a series of programmes and celebrations were announced to commemorate the quincentenary of the “Discovery of the Americas” by Christopher Columbus. However, these festivities were marred by serious protests across the entire region of Latin America, questioning the “discovery” and referring it to a process of centuries of colonisation, slavery and genocide for the indigenous peoples of Latin America. Questions were also raised about the authenticity and true nature of the “discovery”—given that millions of indigenous peoples already inhabited these regions. Latin America had been home to highly advanced cultures and civilisations like the Aztecs, the Maya and the Incas, which had successfully ruled the region for centuries. The Spanish and Portuguese colonisations included serious campaigns for exterminating the natives. This was the case of Argentina and Chile, or as was the case of enslavement in Brazil or Haiti, to work on the plantations, or to labour in the mines as was the case of Peru and Mexico. Those who were not killed as part of the military campaigns of colonisation and occupation, died due to various European diseases like thyroid, cholera, small pox and even common cold. The colonisers enslaved them and coerced them to work in transplanted European agrarian structures. These feudal agrarian structures were imposed on the natives who always sought routes of escape. The Indians had practised self-sustaining methods as part of community living, surviving and being with nature as one. They were soon disposed of their lands, their culture and traditions extinguished and their traditional knowledge systems and environment completely destroyed. Their numbers diminished alarmingly and they were positioned at the bottom in the conventional social structure across Latin America. They were placed just above the black slaves brought from Africa. They always remained the “other”, excluded from mainstream decision-making. In the next few centuries, modernisation and development called for a new “policy” towards the Indians. This meant their assimilation in Latin American societies, which not only cut them off from their roots but also meant the loss of their native languages and cultures. In fact, a recent study stated that the total numbers of indigenous peoples in Latin America are less than 5 per cent of the total population. Additionally, it is immensely problematic to define indigeneity in Latin America, given that the forceful assimilation policy initiated by governments have led to situations where identifying an indigenous person based on the general accepted parameters of identity is almost impossible. Thus, it is universally accepted that Indians have been the most serious victims of colonisation, modernatisation and development in Latin America. One of the few countries with a large indigenous population in Latin America is Brazil. The Portuguese occupied Brazil in 1500 and thereon, its Indians were almost wiped out. Subsequently, it was the progressive Constitution of 1988 that for the first time not only emphasised on human rights but guaranteed the indigenous peoples ‘rights under Article 231. It recognised both cultural and territorial rights of indigenous people based on their traditional heritage. In addition, Article 67 ordered the demarcation of all indigenous territories in Brazil within the next 5 years. Linked to the fate and the well-being of the Indians is the future of the Amazonian rain forest, one of the largest storehouses of biodiversity in the world. 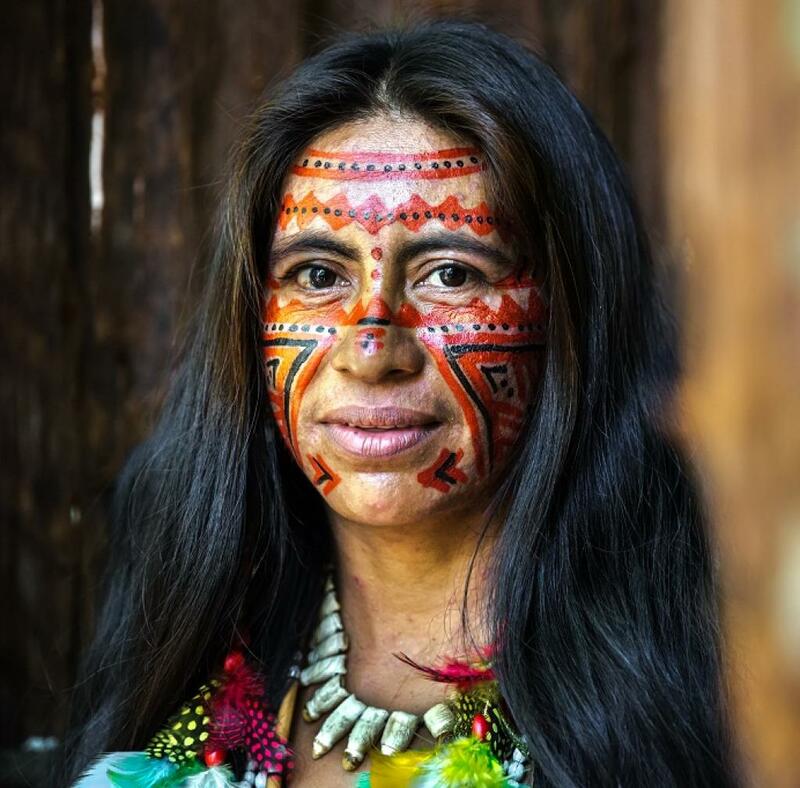 The largest indigenous groups (some 305 distinct tribes) live in Amazonia, where more than half the number has had no contact with the outside world. The indigenous peoples’ interests are taken care of by two organisations, the FUNAI and the IBAMA. The former is the government’s indigenous affairs department which is charged with protecting indigenous lands, whereas the IBAMA is the environmental enforcement agency in Amazonia. Of late, Amazonia and its Indians are threatened by large agri-businesses, landed ranchers, gold smugglers and loggers. President-Elect of Brazil, Jair Bolsonaro’s recent statements during his election campaigns have not worked at alienating Indians but voluably appear to crystallise the vitriolic hostility, especially his statements against the natives, their lands and Amazonia. Many indigenous leaders have voiced their fears and concerns about the future of their lands and culture. They see an existential threat to both, the Indians and Amazonia. There would be, it appears to many, a structured institutionalisation of a policy of annihilating the indigenous people and commercially using Amazonia. However, Bolsonaro’s statements should not be seen in a vacuum as previous Brazilian governments have had bad track records in putting the Constitution’s directives in place. For instance, the formal demarcation of indigenous land remains incomplete and none of the previous governments made serious attempts to do so. In fact, under President Henrique Cardoso, a Decree#1775, which was about the administrative procedure of demarcation of indigenous lands, was converted into law. To this, a legal mechanism was added by which prosperous landowners, loggers and miners could claim access to indigenous lands and appeal against the demarcation to benefit from these commercial ventures. This was widely seen, especially in the case of the Guarani-Kaiowa territory in Mato Grosso do Sul, in the Yanomami area of Northern Brazil, in the territory of Raposa/Serra do Sol among others. Concerns have also been raised about the declining effectiveness of the FUNAI and IBAMA which are already suffering due to the serious budget cuts by previous governments. Critiques of Bolsonaro also point out that building roads, other infrastructure projects and allowing mining in public lands in Amazonia will lead to increasing cases of violence against Indians and the environment. Invasions of indigenous lands will increase with these environmentally-destructive development projects and will cause pollution of natural resources—the very “nature” on which the Indians rely for physical and cultural survival. Many indigenous people have died, or been seriously injured in these conflicts. While these conflicts have exposed them to various infectious diseases, these will bring out in the open those tribes which have remained uncontacted for centuries. The critics also point out that the cases of violence will continue unabated without any fear of impunity under Bolsonaro. The picture painted is grim. A fair assessment of the scenario will need answers to some of the following questions: Were Bolsonaro’s announcements merely poll promises or will he attempt to brow-beat the Constitution of Brazil, violating human rights and destroying Amazonia for commercial profits? Interestingly, most of the countries in the Western Hemisphere are following the events in Brazil. Amazonia provides an umbrella protection in terms of environment and any destruction would impact all in the region. The conflict between the two sides may lead to a chaos which could undermine the shaky political set-up in Brazil. However, the bottom line is that the indigenous people will have to brace up for a long fight against “destructive development” as “guardians of nature”.